For deeper education or review into the body channels, tissues and their relation to health care, students of Ayurvedic Medicine are guaranteed to gain new and deeper understanding with Ayurvedic Pathology or Dhatu and Srotamsi. The dhatus are seven bodily tissues and the srotamsi or srotas or srotamsi are the bodily channels – micro to macroscopic, including the organs. 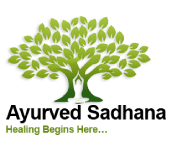 The anatomy and theory of health and pathology in, and Ayurvedic assessment of, the body channels and tissues, is a prerequisite for many of our advanced courses. Those who have taken one intensive year only in Ayurvedic medicine are recommended to take this course also. It covers classical approaches from the Ancient masters of Ayurveda, for detection of imbalances and understanding of the disease process from dosha, malas (waste products), role of dhatu agni (fire), and ojas (life force), tejas (glow), prana (life) in the dhatu and srotamsi – essential for clinical health care according to Ayurveda. Herbs which have specific action on specific dhatus and srotamsi will be mentioned in the course of studying the pathology. Dates: Class is every Thursday, starting Thursday, September 19, 2019, through Thursday, November 7, 2019, 5:30 pm- 9:00 pm MT.